Great Hair doesn’t happen by Chance, it happens by Appointment. 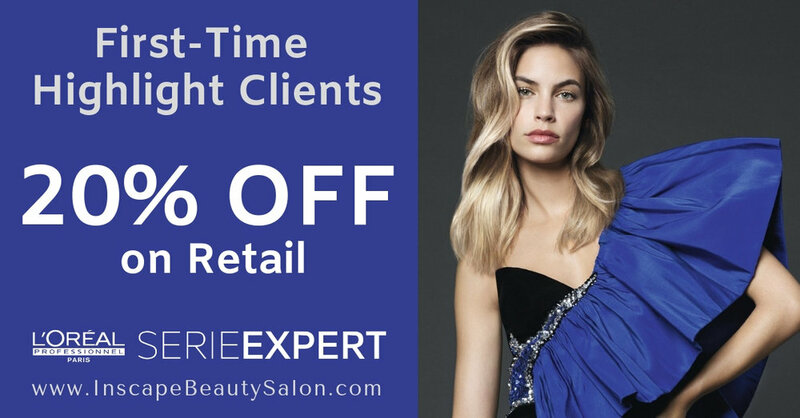 Best Current Offer: Enhance Your Highlights! Special offer for first-time highlight clients - save 20% on all your retail purchases today! "Protect your hair & maintain that shine on your highlights with our professional color care products." Please arrive 10 minutes prior to your scheduled appointment time. We require at least 24 hours notice to change or cancel an appointment. All late cancellations, no-shows and anyone arriving more than 15 minutes late will be charged in full. We accept American Express, Visa, Mastercard, Discover & cash.